The sun barely emerges through the grey clouds, as darkness covers the entire city. Pale creatures with chalky skin wander the streets, seeking shelter from the frigid elements. Let’s face it, January is a tough month and everyone’s morale is usually running low. Luckily, our university offers psychological services to help students get through these troublesome times. Many individuals on our editorial team have utilized these services and the councillors have helped many of us. We don’t realize how lucky we have it though, considering we have access to all these services in English. The same can’t be said for the rest of Quebec, where many health services are solely offered in French. This issue came to the forefront at a town hall meeting last week in Sherbrooke. 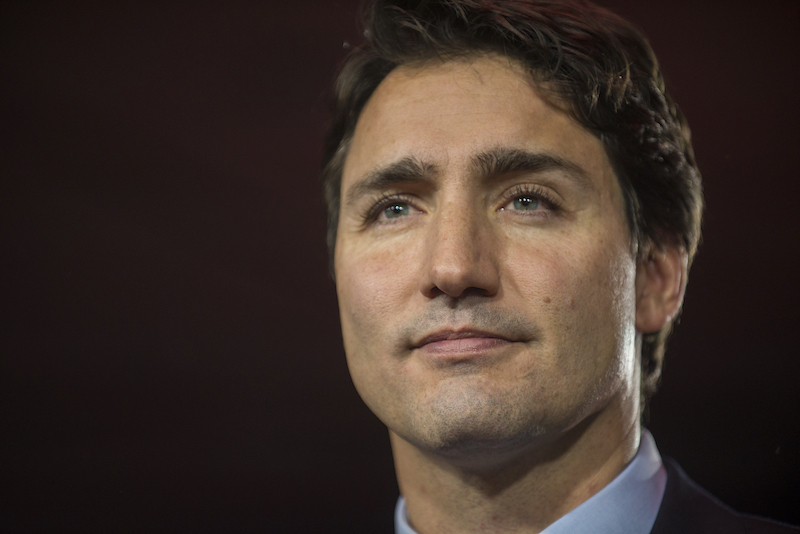 Prime Minister Justin Trudeau descended on the small city located 150 km outside of Montreal to answer questions from the public, in an attempt to boost his public appearance. During this meeting, a woman named Judy Ross stood up and brought this issue to the forefront and asked Trudeau, in English, why it was so difficult for anglophones to get access to mental health services in their native language, according to CBC News. Following Ross’ question, Trudeau answered her question in French. He said: “Because we’re in Quebec, I’ll answer in French.” This response infuriated many from the anglophone community in Quebec. Now we don’t want to ignite a language debate, but considering Concordia is an English university, we have to stand up and say something. Trudeau, who openly defends bilingualism, made a giant hypocritical misstep at this town hall meeting. Here at The Concordian, we are upset to say the least. It appears Trudeau is not concerned about the plight of anglophones in Quebec and even had the audacity to insult Judy Ross by responding in French. How can we trust the PM when his missteps create these giant ripples that divide our society? In Quebec, language has always been at the forefront of debate. Bill 101 and language laws are something that every Quebecer knows all too well. As anglophones, and even as francophones, Quebec can be a very difficult province to navigate. For example, according to CTV News, in 2012, the parents of a two-year-old girl in Vaudreuil made a complaint against the province’s ambulance service because a paramedic refused to speak English while treating their daughter who had just suffered a seizure. When the ambulance arrived on scene, the paramedic said, “Non, moi je parle français.” It is instances like this that prove how problematic the language issues are in this province. By not answering that question in English, Trudeau has ultimately contributed to language tensions that have been tearing this province apart since the rise of sovereignty. Anti-Anglo sentiment is very real in Quebec and to see it from our own prime minister, who is supposed to represent all Canadians, is utterly appalling. So The Concordian demands for the government to offer mental health services in English, because these services are absolutely vital for the English-speaking community and for the Concordia student body, if they seek help outside of our campus.